Kahuna Bob...gives the novice a heads up! Sprung Monkey and The Aqua Velvets...their music flat out rips! Be a winner! Every 20th order sent out FREE. Plus $1.00 from each sale benefits Surfrider Foundation USA! USA Today(May 15th) "...Sends users on a dream tour around the world." 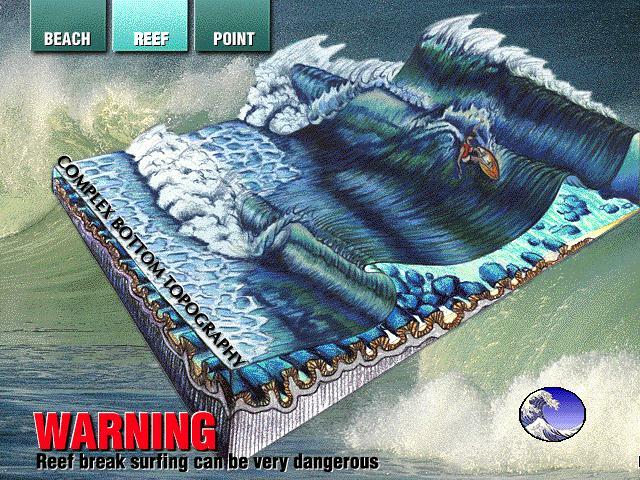 People Magazine(July 1995) "Surfology 101 is an easy introduction to riding the waves...it's just the thing to help beginners get ready to hang 10." MTVpreviewed Surfology 101 on Alternative Nation, August 31st, 1995.VJ Kennedy said "It would take up eight Alternative Nations to get through Surfology 101." 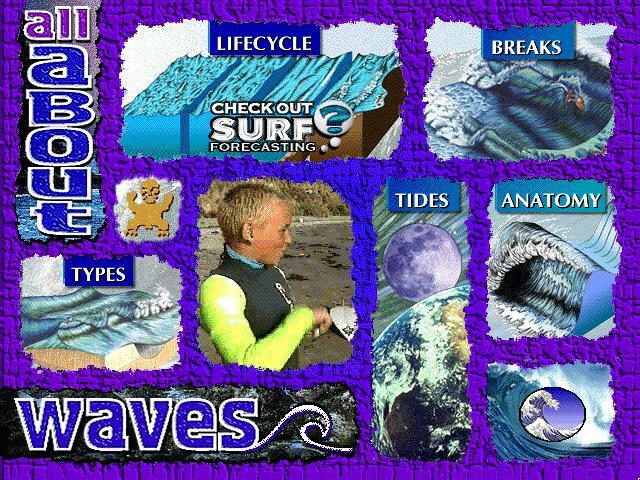 Surf Business(Mar 1996) says "Surfology 101 covers surfing from A to Z..."
with MTV host VJ Kennedy on Alternative Nation. Class Schedule This is the main menu offering four fresh and voluptuous categories: Style, Oceanic Tribes, Science, and Other Stuff. 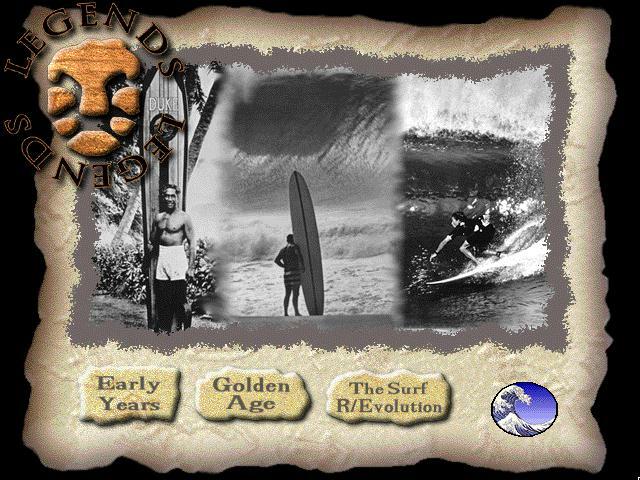 Surfrider Foundation's Executive Director will be your guide on this interactive surfing journey. Surfrider Foundation This section provides information on a nationwide non-profit environmental organization dedicated to the protection, preservation and restoration of the world's oceans, waves and beaches. 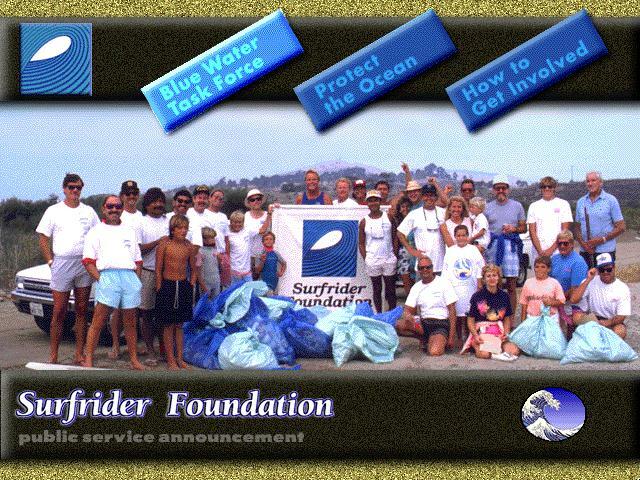 Join Surfrider Foundation and see! 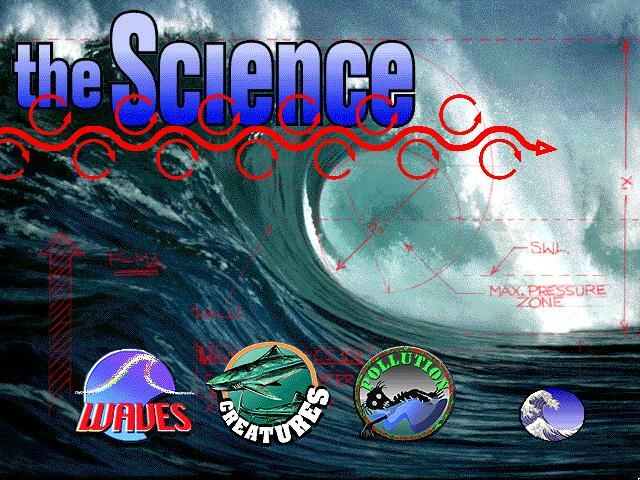 Wave Science Learn all about the mechanics of breaks and tides and understand the life cycle of a wave from its creation hundreds of miles offshore until it finally breaks. Plus an interview with Sean Collins of Surfline/ Wave-Trak. Surf Speak Interviews with Southern California "groms" will bring you up to speed on the proper lingo of the beaches and the glossary will help define the terms. These kids are classic. Check 'em out! Legends Explore the history of surfing from the 1900s to the present, covering biographical information on legendary surfers such as Greg Noll, Gerry Lopez and Kelly Slater. Babes Of course you'll find beautiful women on this interactive digital journey. More Babes Another 'nectar' photo! 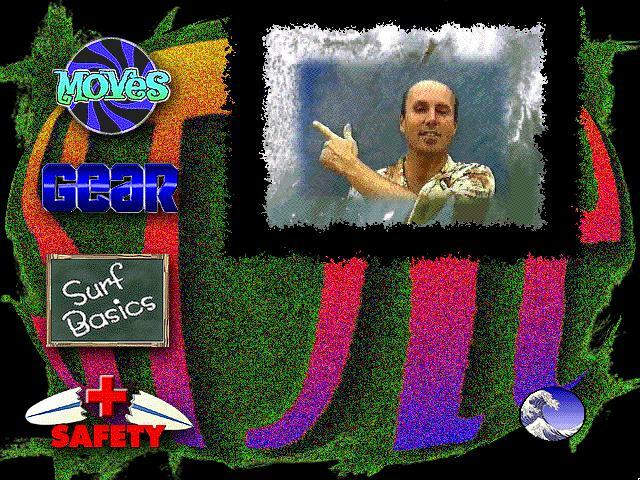 Thank you for taking the time in previewing Surfology 101. 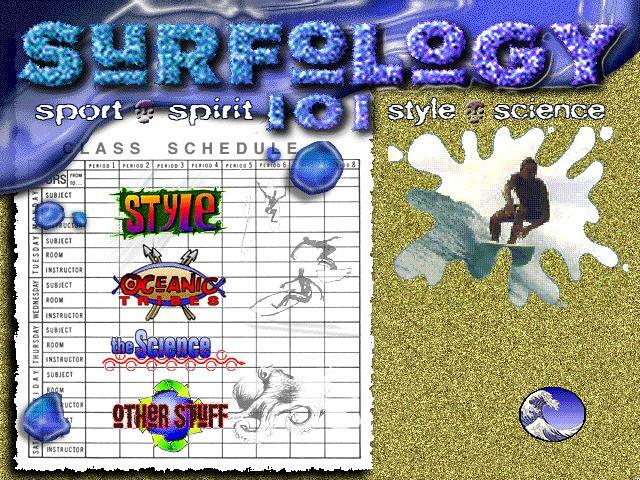 We are proud to offer this one and only CD-ROM on the sport, spirit, style, and science of surfing to anyone interested in the sport. If you would like to purchase this product at 20% off, please click on the above banner. We welcome any feedback you might have! 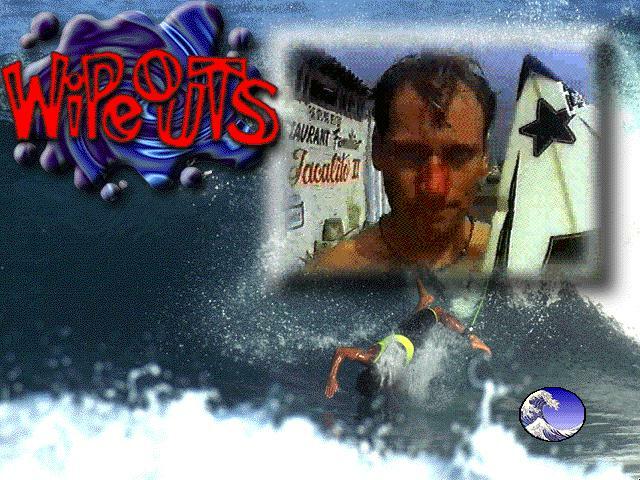 Copyright 1997, InterNetwork Media, Inc. All Rights Reserved. All logos and trademarks are registered trademarks of InterNetwork Media, Inc.